Now we have saved a template (Favorite) for the text. 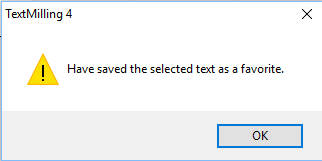 Click ”New document” (or restart TextMilling, the Favorite will still be there) to create a text from the template. Click in combo box to edit text. 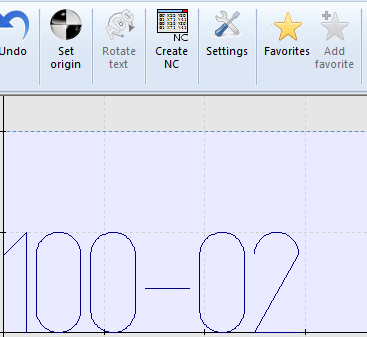 Now you can go on creating CNC program for 100-02. 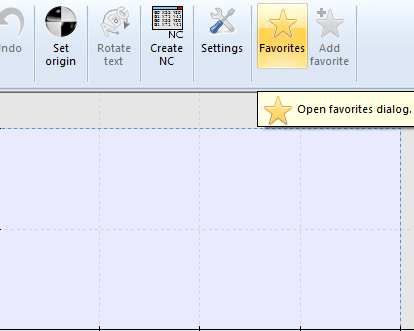 You can create a text directly from the Favorite dialog. Click Favorites. 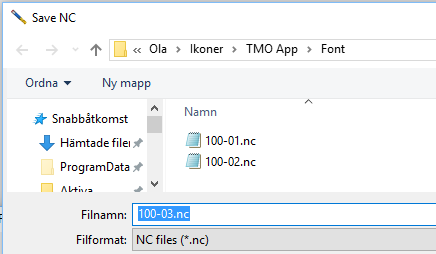 Change the number from 100-02 to 100-03. Click the “Create CNC” button instead of the “OK” button. 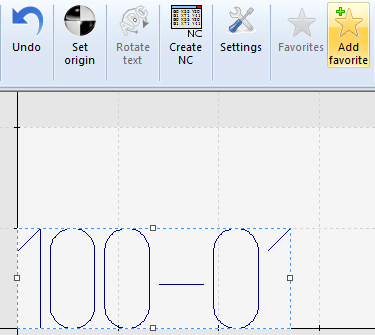 This will create a CNC program for the text 100-3 instantly. Other texts on the TextMilling drawing board will not be processed.